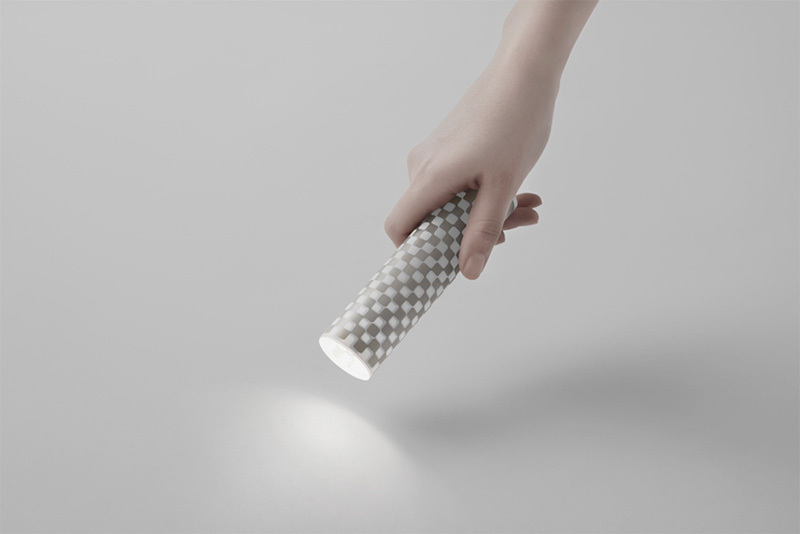 Japanese designer Nendo just released its new creation several months ago: Paper Torch, which can roll into a working torch in emergency situations. 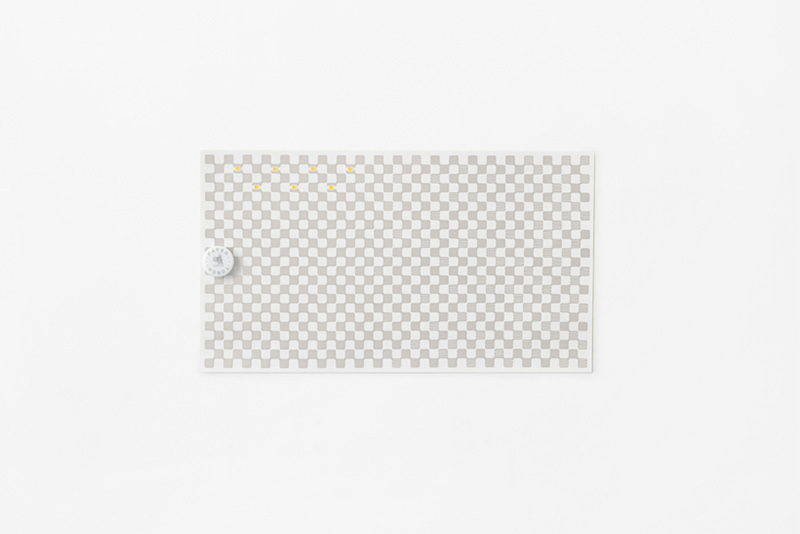 This flashlights that have been designed using the technology of AgIC, that prints electronic circuit boards onto paper, films and cloth using silver particle ink. And the Paper is from paper company Takeo, a 100 year-old Japanese papermaker. "With YUPO paper, ink sits evenly and the smooth surface ensures the ink and paper can be rounded with minimal force, and are less likely to curl. The paper is also hard-wearing, water resistant and therefore also suitable for industrial applications." Nendo itself explained. Two buttons cells ( to switch the light on and off), together with seven LEDs were glued on with conductive adhesive. 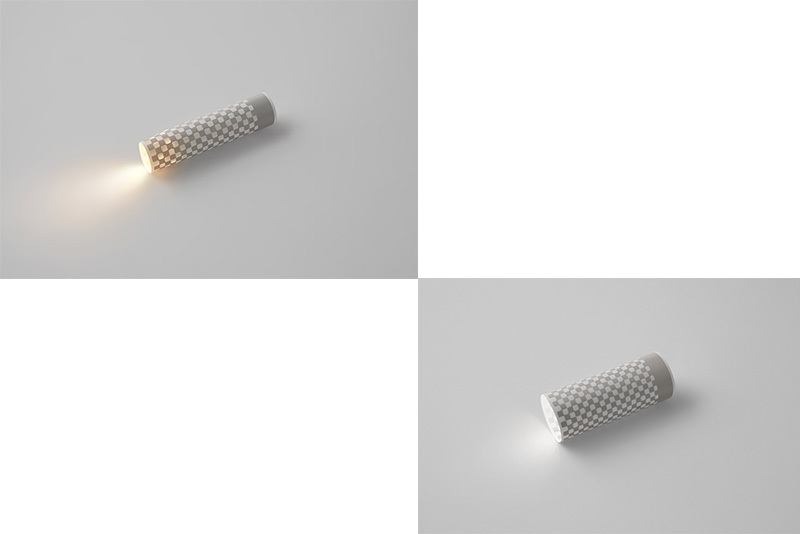 Therefore, the brightness of the light depends on how tightly the paper is rolled. 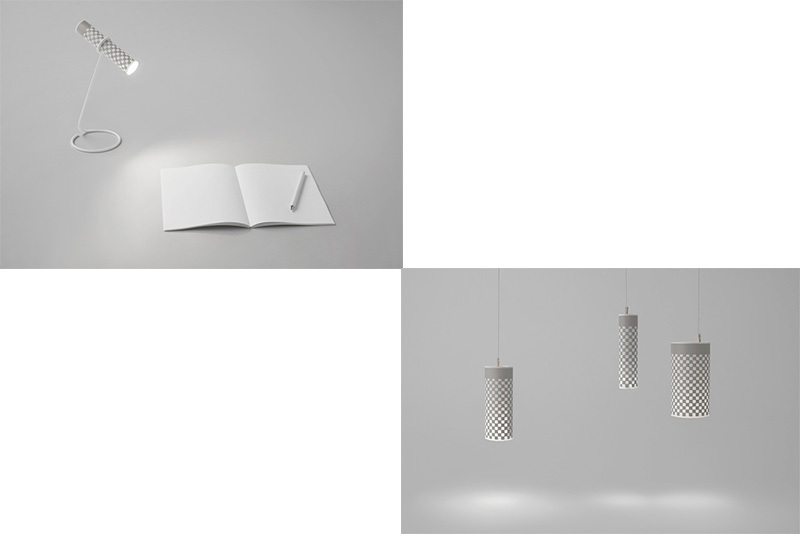 "The resistance was changed by varying the path length of each LED by adjusting how tight you roll the paper, enabling the lighting to be controlled," explained the studio. "The longer the path the higher the resistance, conversely the shorter the path the lower the resistance." More interesting is the LED color can be changed depending on which way the paper is rolled. 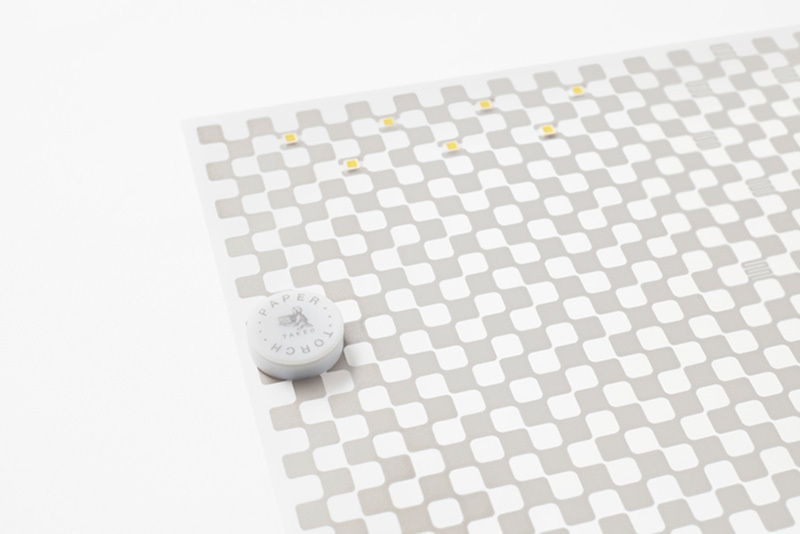 If the paper is wrapped with the surface adhered to the LED facing upwards, the light turns into a warm orange color and when the paper is rolled inside out, the light turns into a white color.